Y.S. RANA, CHANDIGARH—A 15-year-old girl is alive today, thanks to a brave and quick thinking action of justice who pulled the drowning girl to safety from Sukhna Lake in Chandigarh. The feat—both heartwarming and harrowing—took place on March 30 last when the girl jumped into the lake in a bid to end her life. It is just another day on the job. On March 30 the water of Sukhna Lake became choppy of heroism. 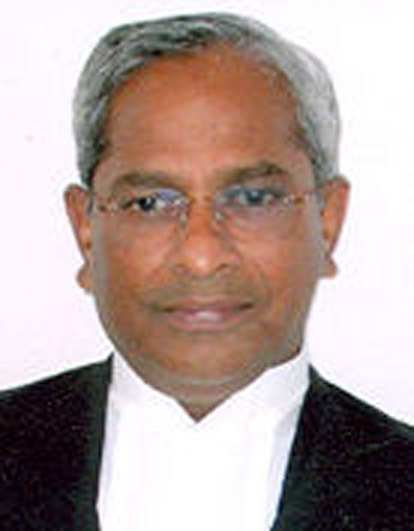 Justice M Jeyapaul of Punjab and Haryana High Court was strolling along with his PSO at the Sukhna Lake witnessed some bystanders cried for help to save a girl from drowning. Without wasting time 60-year-old justice jumped into the lake. His PSO followed suit. The girl was pulled out of water and provided first aid by the both. PCR was called and took the girl to hospital. Justice Jeyapaul inquired about the family of the girl. Revelation was startling. The girl has passed her Class 9th scoring good marks and she wanted to pursue her education further. But her father who is a rickshaw puller in Chandigarh showed his inability to provide her further education due to poverty. The girl in despair preferred to end her life and jumped into the lake. Not only this, Mr Justice visited the hospital and inquired about the health of the girl. He called up her parents at his residence and gave Rs 5,ooo to meet the expenses of girl education. He impressed upon the parents not to stop further education of the girl. Mr Justice has also promotion and award for his PSO act of bravery to the authority. Usually we heard land mark judgements delivered by judges but here it is a rare feat of the justice rarely seen.